The tools and methods described are illustrated through case studies on materials such as solvents, adsorbents, and membranes, and on processes such as absorption / desorption, pressure and vacuum swing adsorption, membranes, oxycombustion, solid looping, etc. 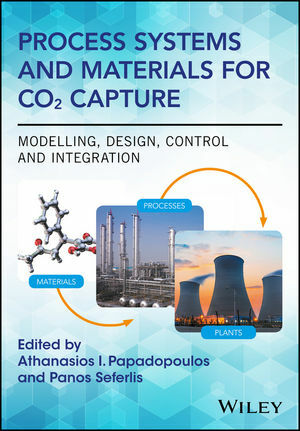 Process Systems and Materials for CO2 Capture: Modelling, Design, Control and Integration should become the essential introductory resource for researchers and industrial practitioners in the field of CO2 capture technology who wish to explore developments in computer-aided tools and methods. In addition, it aims to introduce CO2 capture technologies to process systems engineers working in the development of general computational tools and methods by highlighting opportunities for new developments to address the needs and challenges in CO2 capture technologies.